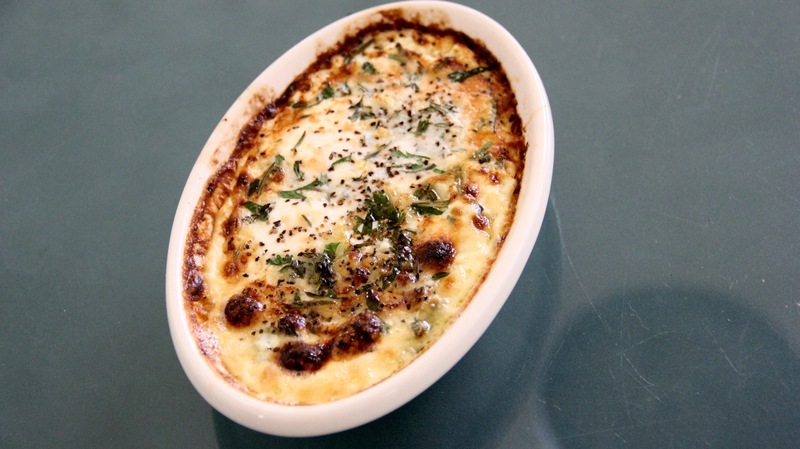 I am ALWAYS looking for a new way to eat eggs, and when I saw Ina make these herbed baked eggs as one of her many French meals, I was very intrigued. The recipe was in the Barefoot in Paris cookbook and I decided to make these for lunch today, though these would also make a very nice fancy brunch dish. This was such an interesting and delicious dish, mostly because you got so many different kinds of eggs in one! You had lots of the runny yolk, some that seemed almost hard-boiled, and the baked whites and yolks. Mixed with garlic, parsley, rosemary, thyme, and a bit of cream and butter (this is Ina we’re talking about, after all), it was just delightful! And quite French. 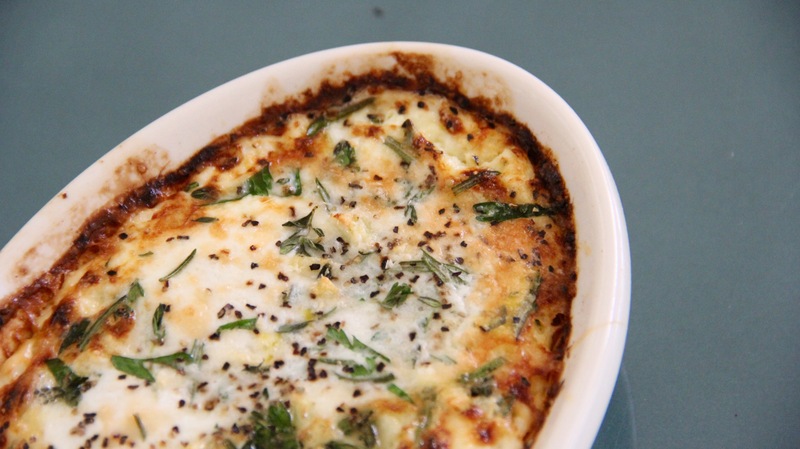 I loved how it made a sort of crusty gratin on the outside. I served it with a bit of toasted rye that I brought back from the bakery I now work at, though a French bread would have been preferable. I’m not complaining. I get a fair bit of free bread.